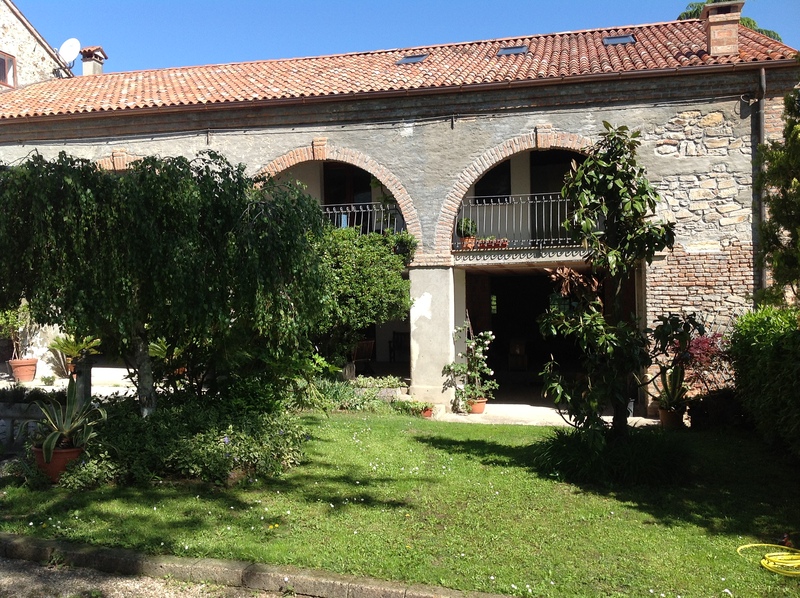 Barbara and Marco will be happy to welcome you in the holiday home “Domus Rosarum” in Arquà Petrarca, a beautiful 18th-century mansion in the heart of the Euganean Hills. 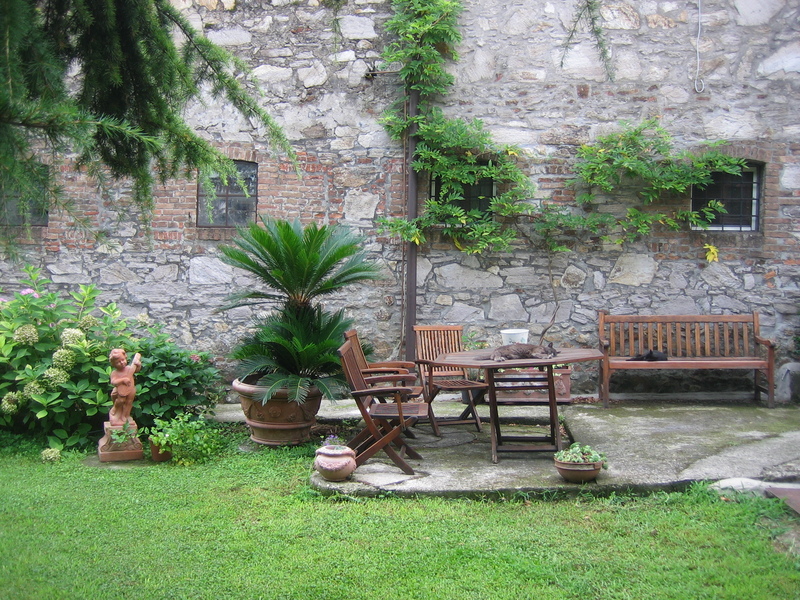 In the restored mansion, the traditional Venetian house style combines with modern technologies.Old planks and beams contribute to create a refined atmosphere, and a beautiful spiral staircase in trachyte, the natural Venetian stone extracted from the Euganean Hills, gives an unique character to the house. Hosts feel right away an impression of well being and relaxation, thanks to the garden of exclusive use, with its tall trees and a bicentennial carob tree, that can be admired from the terrace.Inside the house,floors are in terracotta in the living area and massive olive wood in the bedrooms, two typically Italian materials. Bedrooms are spacious, bright and elegant; those located upstair are air-conditioned and furnished with original familial furnitures in Venetian baroque. The sheets are hand-embroidered and finished in San Gallo embroidery. 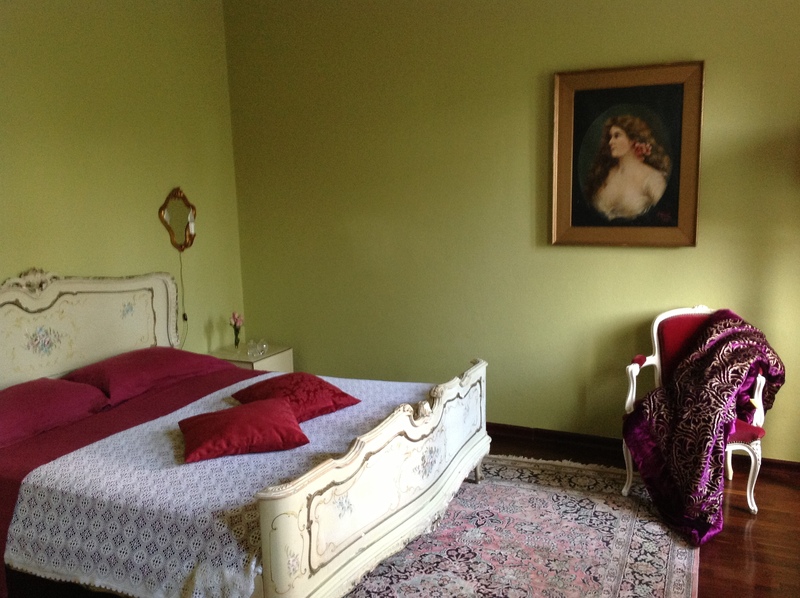 Large silk rugs, vases and objects in Murano glass, crystal chandeliers, silver plates, a collection of old prints, French lace curtains and a living room suite in natural fiber of pulut contribute to make of Domus Rosarum one of the most attractive accommodations of the Padua region. 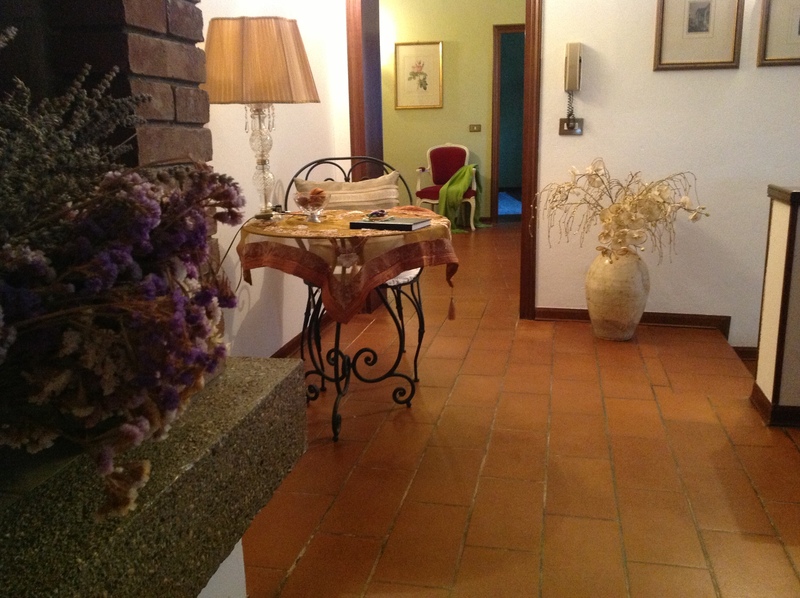 We like to define the way of life at Domus Rosarum as: “The barefoot luxury”. 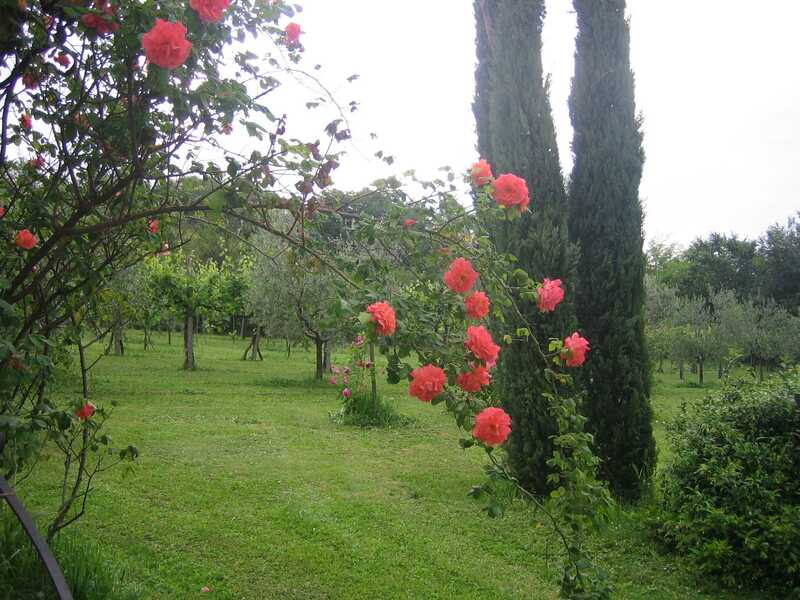 Domus Rosarum is surrounded by a park of over 5,000 square meters, where, in the period of May, one can admire a collection of old roses : Gallica roses, Damask roses, Chinese, Bourbon, Centifolia, Moss, Tea, Noisette and British roses. During the other months of the year, in this calm and quiet garden, lavender, Japanese wisteria, hydrangeas, jasmine, violets, peonies and agaphantusesare flowering. The garden also allows us to offer to our guests the wine we produce and, according to the season, apricots, cherries, figs and plums. We love animals very much and are living with two dogs, six cats, peacocks, roosters and hens, pigeons and lapwings. At the core of the Euganean Hills, Domus Rosarium is close to several among the most beautiful Italian art cities (Padua, Vicenza, Verona, Venice, Ferrara, Mantua). Visiting the medieval villages of Monselice, Este, Montagnana, as well as ArquàPetrarca, one of the 100 most beautiful villages in Italy, is highly recommended. Nearby, there are thermal resorts and, for amateurs, two golf clubs. They are many walking and cycling opportunities. For sea lovers, the nearest beach, the Sottomarino Lido, is only 45 kilometers far.